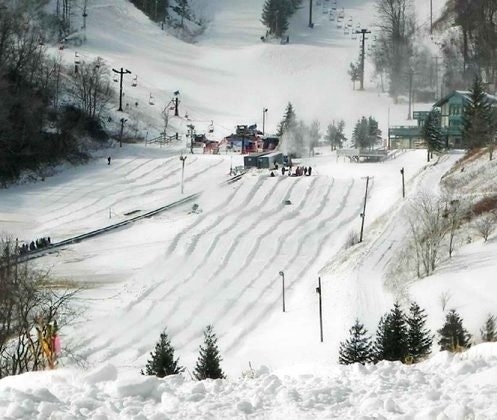 One of the largest snow tubing operations in the eastern U.S. Four tubing areas with over 20 lanes. Two conveyor lifts and zip line, 10 cable tour with 1.5 miles of total cable. Approximate travel time from Asheville: 1-1/2 hours northeast.